Thank you for making us a 5 star rated provider! We are honored to be able to work with you and help you reach your rehabilitation and wellness goals! Houston's ONLY Manual Physical Therapy & Rehabilitation Facility. 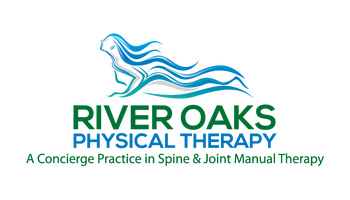 Welcome to River Oaks Physical Therapy. River Oaks PT Rated the Best by their Patients. 99.99% would refer their friends or family. 100% patients received treatment from the same physical therapist every visit. 99.99% received their first treatment in less than 24 hours. River Oaks PT will Fix Your Pain. We Help People From All Walks Of Life Especially Age 40+ To Get Back To Pain Free Activities As Soon As Possible Without Relying On Pain Medications, Injections or Surgery. Our one and only goal is, getting you back to pain free activities quickly and efficiently. Thanks to our evidence-based treatment approach, our average patient visit amount is 4-6 times versus the national average of 18. We empower our patients with the knowledge and skills to self-manage, alleviate pain, and restore function. Patients experience the difference in treatment with our various modality stations. River Oaks Physical Therapy is a credentialed McKenzie clinic, one of the handful clinics in the Houston area. Using the scientifically-proven McKenzie method of treatment means that the patients spend days rather than months in therapy and, in most cases, avoid further testing, imaging, and often unnecessary invasive procedures. Contact us today to begin your path to recovery. "We were recommended to Teresa by a family friend for my moms acute back and hip pain. Teresa took time during the initial visit to listen intently to the symptoms and came up with a well designed plan to help my mother. She explained the causative issue and the effects well." "My doctor had me switch physical therapists to Teresa Atkinson to treat my intense neck and back pain caused by bulging disks. Teresa and her staff were very thorough in reviewing my MRI and X-rays to properly treat my pain. After just a few sessions I had dramatic reduction in neck & back pain." "Amy Petro" When I left I walked out with a straight posture and at my normal speed with NO Pain! "I have had chronic back problems for years and have been to many physical therapists trying to help heal and prevent future problems, with no success. Once again my back “went out” and I was referred to River Oaks Physical Therapy." An amazing strategy that will transform your energy and bring back the 'new you' right away! We understand pain has to be treated right away, and that’s why we are committed to same day appointments. We value your time, therefore you will be seen at your appointment without the long waiting that you would experience elsewhere. We also understand that sometimes you need to be able to speak to someone after business hours, that’s why we have someone on call that can help. Our promise to our patients is precise, effective evaluations and personalized treatment plans that work. The McKenzie method rapidly identifies the appropriate strategy for treating patients and reveals when further investigation is needed. When further investigation is needed, we rapidly refer our patients out to our network of excellent doctors and surgeons. Our reputation for quick results continues to grow. Though we are based in Houston, TX, we regularly see patients flown in from across the state and internationally from Mexico and Saudi Arabia. Whether your pain relates to sitting at your desk, training for your next Iron Man race, defending the country, being a weekend warrior or holding your newborn, River Oak’s McKenzie-certified staff are only a phone call or email away.